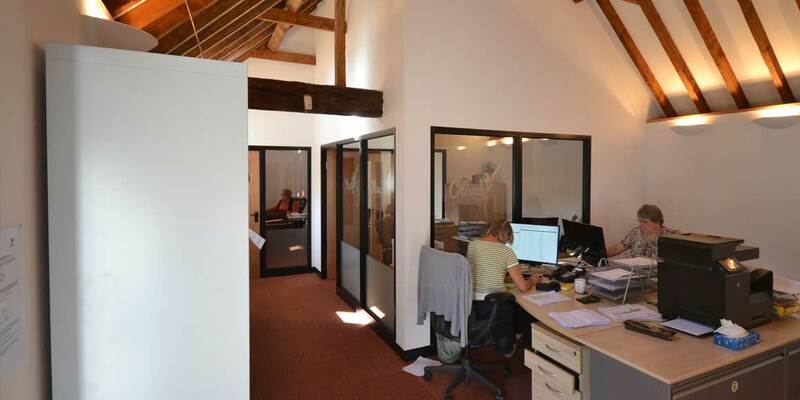 Client was moving into a characterful cow shed conversion and was looking to create a MD / meeting area and account office. We create these using full height plaster board following the contours of the ceiling. 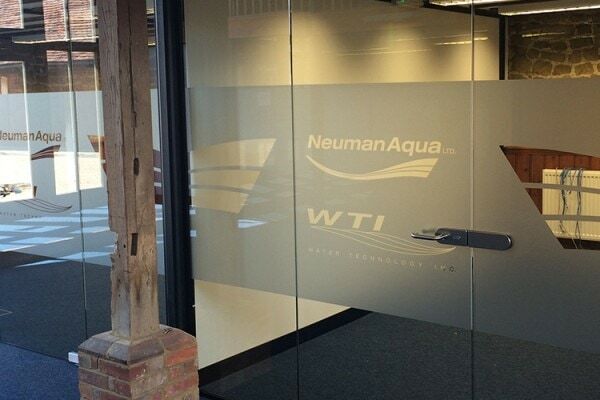 To make both the offices, light and air places to work we install door height glazed complete with logo manifestation. The door furniture was old forged black iron to keep it matching the building style. 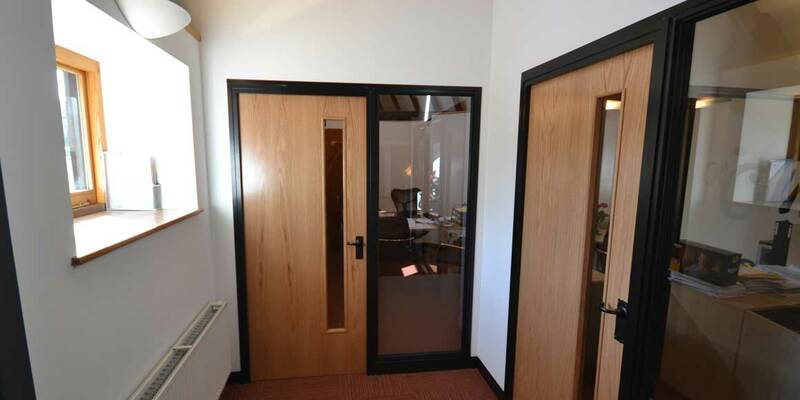 We heard about Sussex and Surrey Partitioning through a private recommendation. We needed them to complete a full design and turnkey project. We decided to use them because of the price and their sales pitch gave us great confidence. 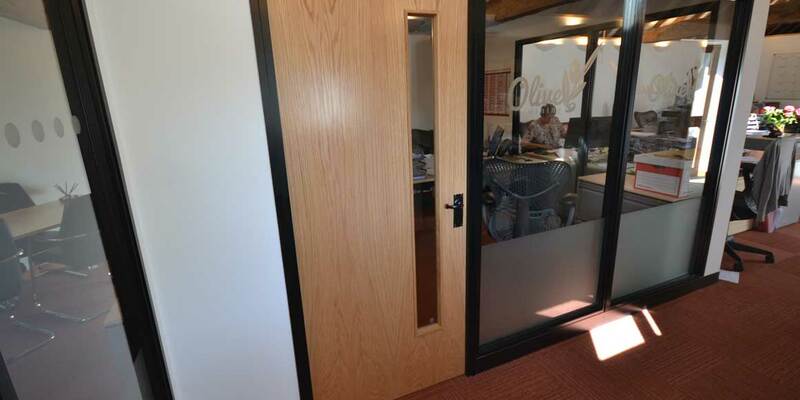 They carried out a design and installation of office partitioning, stud work and glazing. The experience with the company from enquiry to completion was very good, excellent communication, service and delivery. 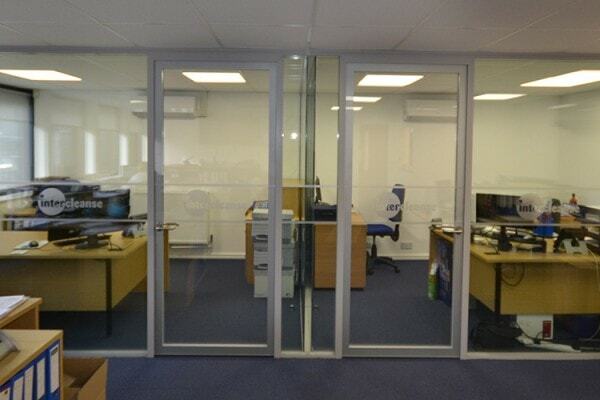 What I like most about Sussex & Surrey Partitioning is the people and the flexibility. 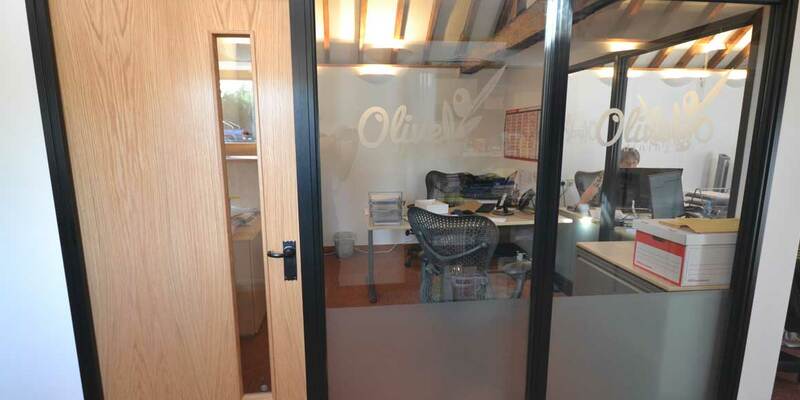 They have improved our business because they have helped us created a good, flexible and efficient working space. We are now proud to invite clients to our new offices. 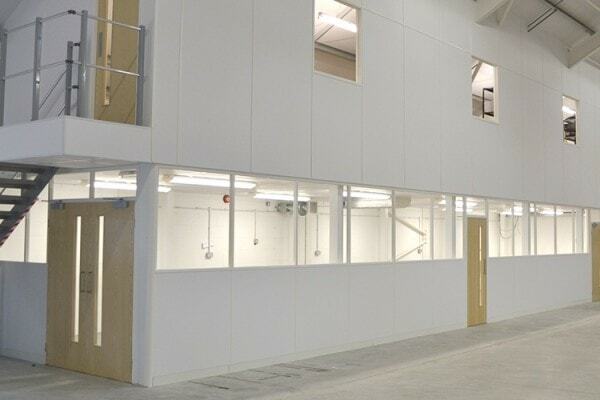 We have been using Sussex and Surrey Partitioning for 3 months and the difference between them and other companies is that they listened, made recommendations and were prepared to change and be flexible where possible.